Not your regular bike shop. Ponybikes is home to a workshop with comprehensive capabilities. 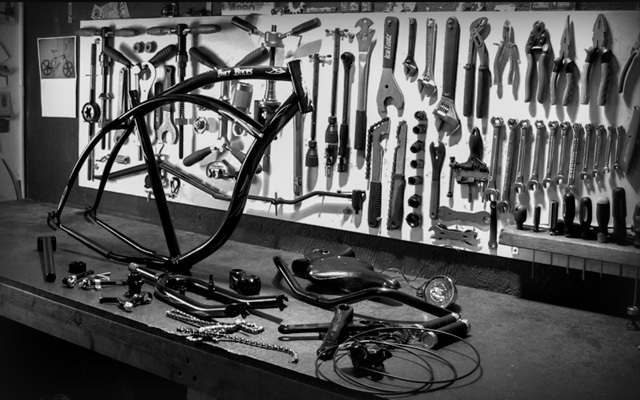 The workshop caters for routine maintenance, servicing and repair of all bicycles, as well as custom builds, wheel builds, frame repairs and modifications. We are competent problem solvers and the go to for many bicycle stores in Melbourne. You can book in for same day servicing by filling in your details to the right, for all work outside of what is listed please give us a call. Please note the “Mack Daddy” service requires a 50% deposit at time of booking.